The richest man in the world thinks you're working too much. "You should have more time for you during all of your life -- not when you're 65 and retired," Slim told CNNMoney's Christine Romans on Tuesday. "I am sure it will happen," the 74-year-old told CNNMoney, though he conceded he's not sure when. While "machines should work 24 hours and services should work as much as possible," Slim said people deserve more time for entertainment, family and to train for better jobs. He also believes the radical change would give younger workers more opportunity to enter the workforce and be a positive for the economy and financial markets. "It's a society of knowledge and experience. You have better experience and knowledge when you are 60, 65 and 70," Slim said. The $83 billion man: It's an interesting idea considering the source: a self-made billionaire who Forbes estimates is worth about $83 billion. Slim has been alternating the crown for the world's richest man with Microsoft (MSFT)founder Bill Gates, whose wealth is valued at nearly $81 billion. Slim got into investing before he even entered high school, buying his first bond at just 12 years old and stocks a year or two later. While Slim's family was well off, he eventually built an empire on his own through a series of savvy investments. 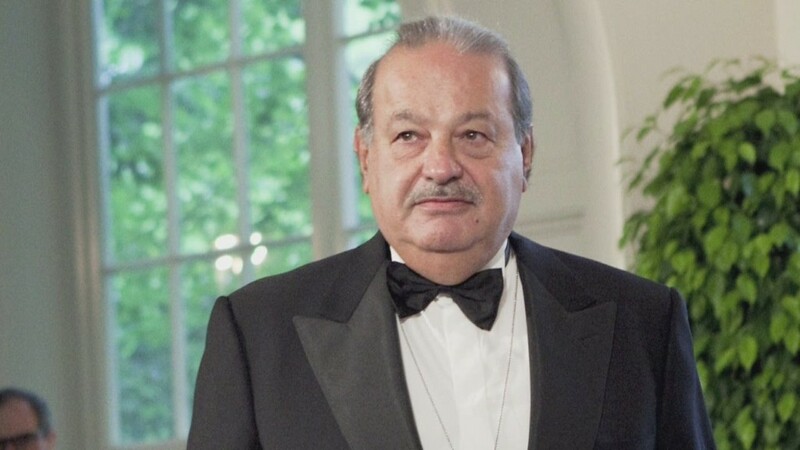 One of his biggest holdings is America Movil (AMOV), the Latin American telecom giant. The company's shares spiked earlier this year after Slim unveiled plans to sell off assets in response to new anti-monopoly and media laws in Mexico. On the other hand, soft gold and copper prices have been a thorn in the side of Minera Frisco (MSNFY), Slim's mining company. More real investment needed: Still, Slim said it's a great time to be an investor thanks to rock-bottom interest rates from global central banks trying to encourage growth. "Low interest rates are a big opportunity for investment. But the issue is that this money should go to the real economy, not the financial economy," Slim said. His comments echo concerns about companies spending too much on financial engineering like stock buybacks rather than capital expenditures that drive growth and hiring. "It is mainly going to the financial economy. If we take part of it to the real economy and develop infrastructure and other investments, we will have construction, employment and better salaries," he said. Slim declined to throw his weight behind recent calls for workers to get paid higher wages though. He conceded prices may have grown faster than wages, but he believes salaries will rise along with stronger growth, increased productivity and technological advances.